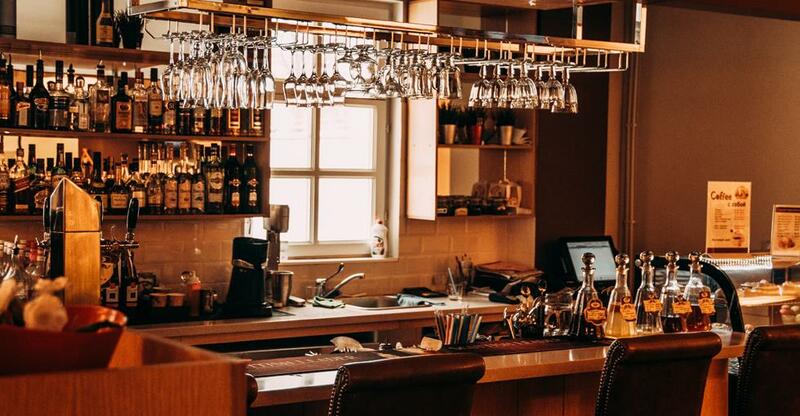 If you’re a regular on the bar scene then you may have some ideas about what works and what doesn’t when it comes to running a licensed establishment. Spending so much of your leisure time socialising, you’re also more likely than the average citizen to be a gregarious ‘people person’ – another valuable attribute when running a bar. But if experience as a customer is helpful (although a serious alcohol habit perhaps makes the bar trade an unwise choice) then it certainly isn’t sufficient; experience of working in bars and restaurants counts for a lot in a field with long working hours, evening and weekend opening and boisterous customers. Life is tough for newcomers to an industry battling rising costs and growing in-home consumption and where strict drink-driving laws make food an important part of the mix (driverless cars could be the industry’s ultimate godsend). IBIS World, which shared these insights, also suggests that health concerns have prompted a slight shift away from beer towards wines and spirits (though some might doubt that beer is less healthy), which makes wine and cocktail bars and specialists in spirits more attractive acquisitions. However, brewpubs are also on the rise, driven by the craft-beer boom. In Ontario, the number of breweries has nearly tripled in six years and the provincial government has invested $1.6 million in 20 craft breweries. Find out more about bar-sector trends in Canada. You can buy a bar for as little as $80,000 but more typically cost in the region of $200,000-$500,000 and – especially for bar-restaurants – beyond. Along with the value of physical assets – with the number of customers the building can accommodate obviously pivotal – a bar’s value is primarily established by its sales revenue. The seller will have probably valued the business, according to an industry-standard multiplier of income and the value of physical assets, with the help of a business broker. However, it is perhaps worth appointing your own independent expert to conduct an independent valuation. Paying a fair price for a business generally means valuing its physical assets and multiplying sales revenue according to an industry-standard multiplier (although there are other valuation methods). Whether it is wise to actually buy the business depends on whether those sales are sustainable in the long term and the potential to grow revenues. If you can identify ways to get more customers through the door then the business could prove to be a bargain. To give a hypothetical scenario, if a bar only offers Budweiser and Coors in an area with rising numbers of young, metropolitan professionals then the introduction of craft beers at higher price points could jumpstart trade. Perhaps space is set aside for things – slot machines or a dance floor – that few customers appear to use. Use this space for more tables instead and you could accommodate those extra customers lured by your wide range of premium beers. Many bars in Canada are themed and the theme can help or hinder sales depending on local demographics. Rebranded as a sports bar with affordable beers and spirits, a low-priced, poorly performing cocktail bar in a working class neighborhood could turn out to be a bargain. A central part of gauging the bar’s prospects is to visit the premises in the role of customer. Sample the drinks and food, take a note of footfall and atmosphere, and identify changes that could boost sales or cut costs. You could even visit rival bars to gauge the standard of local competition. Does the bar serve food? Strict enforcement of drink-driving laws and tight margins on alcohol mean that many bars do double as restaurants. Those that just serve nuts, potato chips and other basic snacks are more likely to be located in city centres, host bands and DJs and open into the small hours. Once a deal to buy a business is agreed in principle, there follows a period of due diligence. This entails an exhaustive check of physical assets, accounts and other relevant aspects of the business to make sure you’re buying what you think you’re buying. Verifying the sales revenue of a bar is trickier than for most retailers because cash still accounts for a substantial portion of takings. To verify income, ask for tax returns and sales tax returns. Financial statements are not reliable gauges of true revenue, so base your sales numbers on sales reports generated by the computerized, point-of-sale cash register. Question the wisdom of proceeding should the proprietor claim that such data is unavailable. Appoint a bookkeeper or accountant to check that financial statements stack up against source documents like receipts, bank statements and the general ledger. Income from gaming machines, which is virtually impossible to verify, is likely to amount to 5-10% of total sales. Once you’ve established a workable gross income you can subtract business expenses to ascertain a net income. Then compare these monthly sales to the rent. Give yourself enough headroom to cope with any downturn in trade – plenty of bar closures are partly driven by high rents. Request to see the bar’s licensing conditions. You will inherit any limitations such as on when customers can use outside seating (to reduce disruption to neighbors) or opening hours, and they could seriously limit sales growth potential – and therefore the bar’s value. As with any other business, you should also inspect the premises, computer systems, condition of equipment (like cooking appliances) and documentation of assets and liabilities, and employee and supplier contracts.